The thyroid gland is a body tissue located below the neck on the front part. The thyroid gland manufactures thyroid hormones which are secreted into the blood. The thyroid hormones are responsible for controlling the body’s metabolism. This involves processing of food in the body, generation of heat to keep the body warm, and regulation of normal functioning of vital body organs such as the brain, heart, and body muscles. A less active thyroid gland will necessitate thyroid replacement therapy. 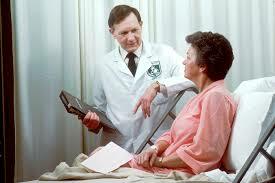 The aim of the therapy is to restore normal functioning of the glands and prevent the formation of thyroid cancer. A less-active or non-performing thyroid gland is a medical condition referred to as Hypothyroidism. The condition prevents the thyroid gland from producing enough thyroid hormones for the body. There are two main thyroid hormones. The T3 hormone is considered dominant among the two hormones. The hormone is produced as a result of the interaction between the T4 hormones with other body cells. The T3 has a shorter half-life of only 24 hours after being absorbed into the body. The T4 hormone, on the other hand, can stay for up to 7 days in the body. The medical therapy to normalize the thyroid hormone levels in the body has a more individual-based approach. The dosage required depends on the patient’s medical history, age, weight, and other details as may be necessary. The doctor should perform a thorough physical and medical examination on the patient to determine the level of thyroid gland hormones. There are different thyroid hormone supplements taken to normalize the thyroid hormone levels. Despite this, they all perform similar functions. Consistency on the brand used is important as it will help the doctor monitor the gland’s proper functioning. Any abrupt change should be communicated soonest. There are different medical therapies available. The most common types are animal thyroid supplements and artificial thyroid hormones, particularly the T4 hormones. Although the T3 hormone is more active than the T4, the T4 is the most preferred therapy supplement. This is because the hormone reacts with other body cells in the bloodstream and releases iodine atoms to form the T3 hormones. The risk of T3 supplements is that they can lead to abnormal levels of the hormone, which can cause rapid heartbeats and anxiety. The standard hormone therapy is, therefore, a prescription of T4 hormone supplements. Natural, animal, thyroid hormones are mainly available in pigs. The animal supplements were used before the artificial supplements were invented. The supplements are sold over the counter as food supplements, although some people sell it as a medical subscription against the law. The animal supplements are rarely used today because the T4 supplements have proved more effective. The thyroid hormone is best taken once a day, preferably in the morning before eating any food. Effective thyroid replacement therapy occurs on an empty stomach. This is because food may hinder proper absorption of the hormone into the body. Consistency in timing and dosage is also important. Some medications may also react with the thyroid hormone. In such a case, the doctor’s advice is recommended.